This, according to the Department of Tourism (DOT) and its marketing arm, the Tourism Promotions Board (TPB) which is the very concept of its project, “Bangon Tours”. “Bangon Tours: Bakasyon Mo, May Meaning” is a project in line with the government’s recovery and rebuilding efforts for the victims and survivors of calamities through the promotion of domestic tourism. 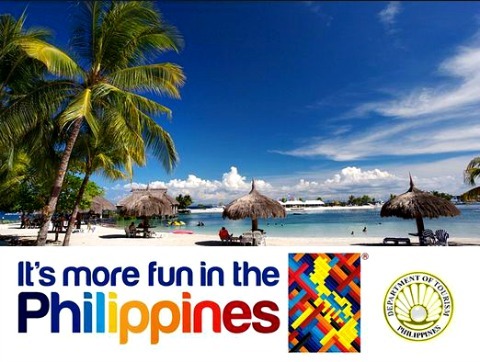 “It is an invitation to the Filipino market to travel within the Philippines during the holiday period (December 1 to February 28), visit our fun destinations, and participate in rebuilding efforts,” the TPB stated. The tours, the TPB noted, offer specially designed domestic tour packages in collaboration with the Philippine tourism industry’s travel trade as well as non-tourism companies and public sector agencies. Tourist establishments in the hospitality sector and tour and travel companies including airlines are asked to sign a Memorandum of Understanding (MOU) with the TPB supporting Bangon Tours. The TPB further said that these establishments will display the Bangon Tours poster with logo in their business premises and submit to the TPB updates related to the total amount donated to NGOs and foundations concerned. TPB COO, Domingo Ramon Enerio III, said in a statement that participating tourist establishments are initially offering special tour packages to 16 tourist destinations nationwide and more destinations will be added. Among the 16 destinations initially include Ilocos, Tuguegarao, Baguio, Batangas-Puerto Galera, Manila-Tagaytay, Puerto Princesa, Baler, Bicol, Cebu, Davao, Bohol, Iloilo, Boracay, Siargao, CDO-Camiguin, and Batanes. The TPB however noted that Bangon Tour offerings will not be limited to these destinations. “These establishments are being asked to share at least five percent of their net income from the tour packages / room nights sold via Bangon Tours,” Enerio said in a statement. The percentage share will be directly given to the company’s chosen non-government organization (NGO) or charitable foundation involved with the disaster-affected communities,” he added. Enerio also invited Filipinos and foreigners alike to travel more in the Philippines as it can contribute to the country’s recovery and rebuilding efforts.